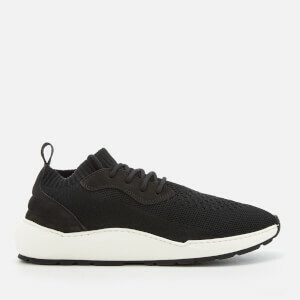 Black ‘Raito Racer’ trainers by Y-3, Adidas’ collaboration range with Japanese designer Yohji Yamamoto. 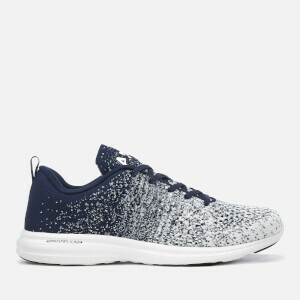 With knitted mesh forming the seamless, sock-style uppers, the low-tops feature an integrated tongue and collar that provide a snug fit for your foot. 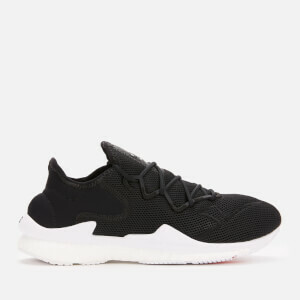 Fastened with round white laces, the round-toe sneakers sit atop white Styrofoam-like midsoles with boost technology that provide responsive cushioning on each step, and translucent Quickstrike outsoles decrease weight whilst boosting flexibility and durability. 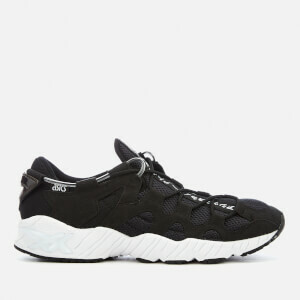 Ultra-lightweight and breathable, the trainers are complete with contrast Y-3 branding on the tongue and a striped, ribbed trim along the collars.